Experience the dazzling lights, jolly sounds and comforting scents of the holiday season like never before at Fa La Land, Tinsletown’s vibrant and fun holiday pop-up museum! Everything sparkles brighter in this immersive and interactive environment that is crafted to delight both the young and young at heart. Step into an old fashioned North Pole, help make toys at “Jingle Bell Toy Factory”, get lost in light in a fluorescent “Fa La Forest”, jump in the action at “Fa La Fest” and get your Christmas list ready for your private audience with the Big Man himself - Santa will spread his good cheer. Fa La Land is a limited engagement because the most wonderful time of the year is fleeting, but your visit to Fa La Land will leave you with a lifetime of memories! 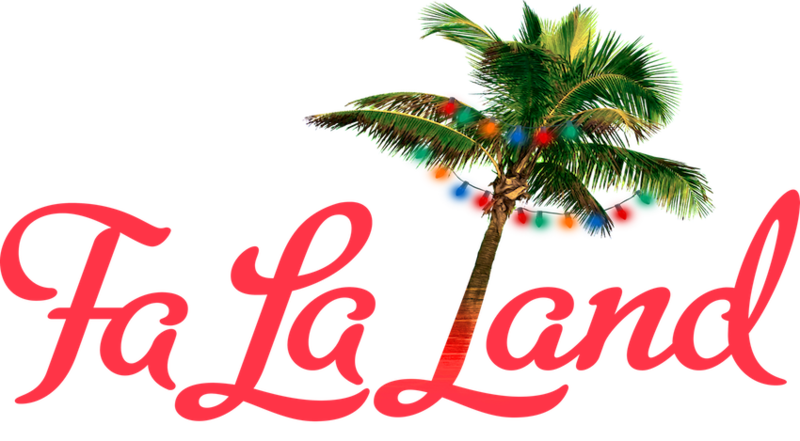 Fa La Land is currently available for private and corporate parties subject to availability including Mondays (Christmas Eve and New Year’s Eve). All tickets are $37; Children 3 and younger are free. ROW DTLA 787 S. Alameda St.